While President Donald Trump’s plans to create the so-called Space Force has certainly become fodder for critics and comics, some who work in the aerospace and aviation industry believe it is something that may be needed. If the Space Force becomes the sixth branch of the military and, in turn, prompts additional government investment, Ohio’s robust aerospace and aviation industry may play a leading role. Last week at a press event at the Pentagon, Vice President Mike Pence, Defense Secretary James Mattis and other leaders from the Department of Defense addressed the future of the U.S. military’s presence in space. As part of that future, federal officials released a report containing the first stages of the administration’s plans to turn the Space Force into reality. Dr. Carlos Grodsinsky, the chief operating officer of ZIN Technologies Inc., opined that the Space Force would be an extension of what the other armed services are already doing. However, there would just be a greater focus on those efforts to protect American assets in space. Dr. Grodsinsky said it would be a worthy venture so long as it is not intended to provoke other nations, namely Russia and China, that also have robust space programs. Dr. Grodsinsky is also the chairman of the Ohio Aerospace and Aviation Council. A decade ago, China launched a missile into space, destroying one of its own weather satellites that had become inoperational. Since then, China and Russia have made advances in their space programs. In 2001, a report from the Commission to Assess the United States National Security Space Management and Organization included a sobering view of the need to focus on the defense of American space assets. The report also warns against a common pitfall that the public may be unfamiliar with something doesn’t mean it is improbable. The loss of those space assets could bring public and private sector systems across the country grinding to a halt. Additionally, communications and logistical systems with the armed forces would be severely hampered. 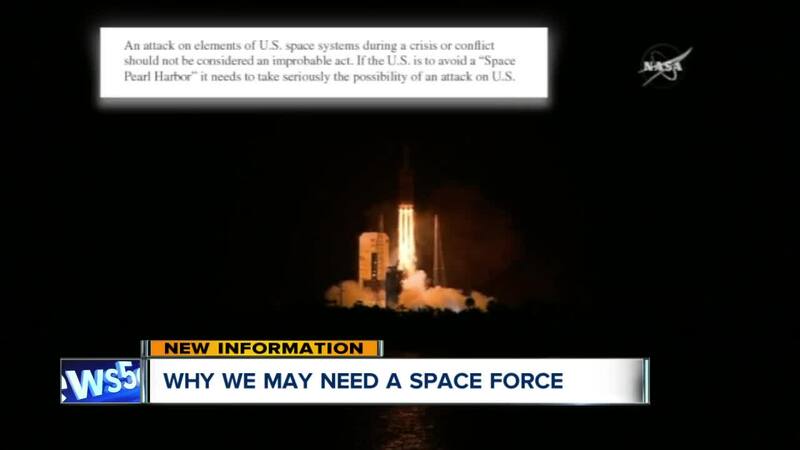 The creation of the Space Force might also be a more efficient approach to having those assets spread across multiple branches of the armed services, Grodsinsky said. If the Space Force were to launch and receive approval from Congress, it could potentially spur additional government investment in the aerospace and aviation industry. If that were to occur, Ohio could potentially in a position to lead the charge – just like the 25 astronauts from Ohio did. Ohio is the number one supplier for both Boeing and Airbus. There are also vitally important research laboratories at NASA Glenn Research Center and the Air Force Research Laboratory at Wright-Patterson Air Force Base. However, Grodsinsky said there are always areas to improve upon, including a greater synergy among the state’s universities and major aerospace employers. Each year, 10,000 students graduate with degrees in science, technology, engineering or math. However, the state only has about 6,000 aerospace or aviation-related jobs.